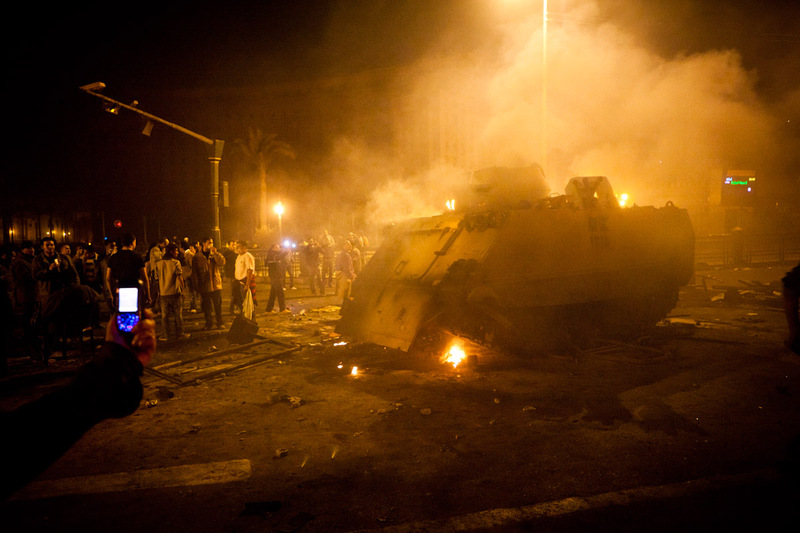 An armoured personnel carrier burns in Cairo, Egypt, January 28th, 2011. Protestors bombarded the APC with burning refuse until the crew abandoned the vehicle and ran off. No casualities resulted.